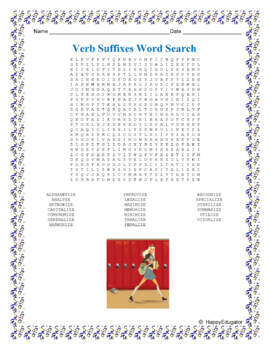 Verb Suffixes Word Search. 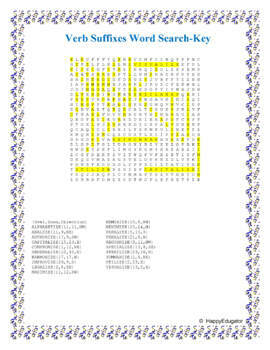 Twenty spelling words that end in either -ize, -ise, or -yze are hidden in this word search puzzle. 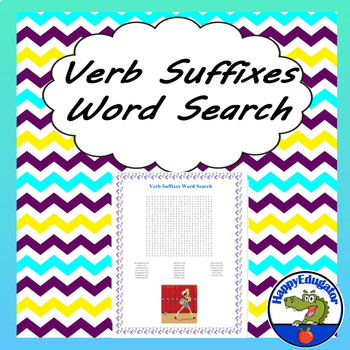 Fun vocabulary builder activity, too. Key included.